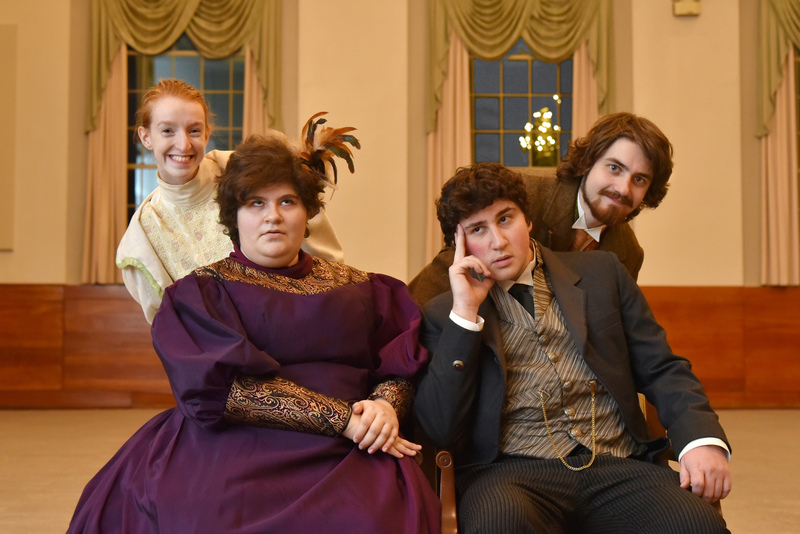 SUNY Oswego's student honors production -- previewing March 5 and running March 6 to 10 -- will feature 10 vignettes in one hilarious and surprise-filled package by the late Broadway playwright Neil Simon titled "The Good Doctor." Based on works of 19th century Russian writer Anton Chekhov and set to music, the production offers multiple characters for its stars (from left) Megan Campbell, Shana Weiss, Adam Sommer and Evan Ribaudo; as well as (not pictured) Tim Brenner, whose key role is The Writer. For more information, visit oswego.edu/theatre; for tickets, visit tickets.oswego.edu.